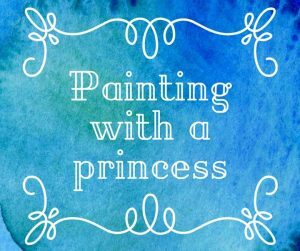 Created By You has teamed up with Happily Ever After Parties to bring you PAINTING WITH A PRINCESS. During this 2-hour event we will read a story, have a sing along and then paint princess banks. Light refreshments will be served. We encourage you to dress like a princess though it is not required. Reserve your spot today! This event is limited to 28 painters/princesses, spots must be paid for in advance. The cost is $30. One adult will be allowed to accompany one paid child.